I don’t have much to say on this one. 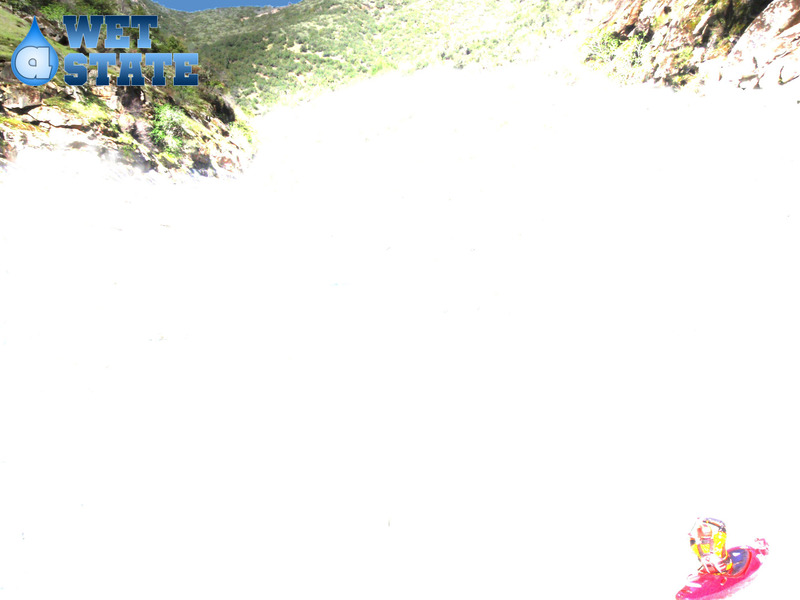 This is a popular rafting run, and apparently rafters actually break it up a little further calling the section directly below the Cataracts the Demolition run (if I recall correctly). It is sorta a grey area for that part… not part of the Cataracts and not part of Huben. Most people look at Huben starting just upstream of where the Defereggenbach comes in on right right. It starts as class III and then gets easier as you go. 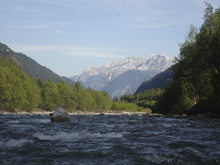 There are a lot of places you can access the river to take out, some will choose to take out at the camping place that we used which would be convenient. 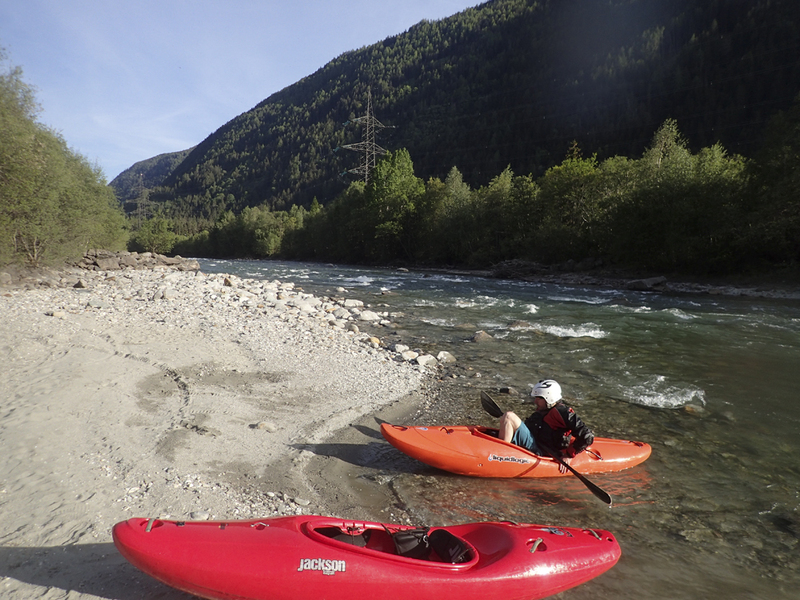 We opted to take out where the Kalserbach comes in on river left which is just a little ways downstream from the Defereggenbach. 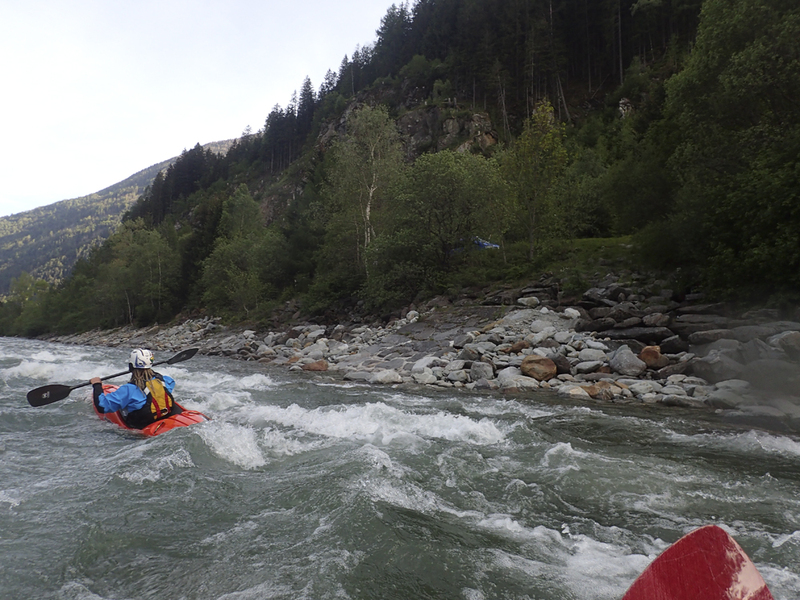 If you are looking for a class III thrill, I have been told that this run is really nice in the summer with the glacial melt is in full tilt and the water is high. So keep it in mind! Boogie (III/IV then III then II+). So depending on where you put in, the river starts either class III/IV or III. 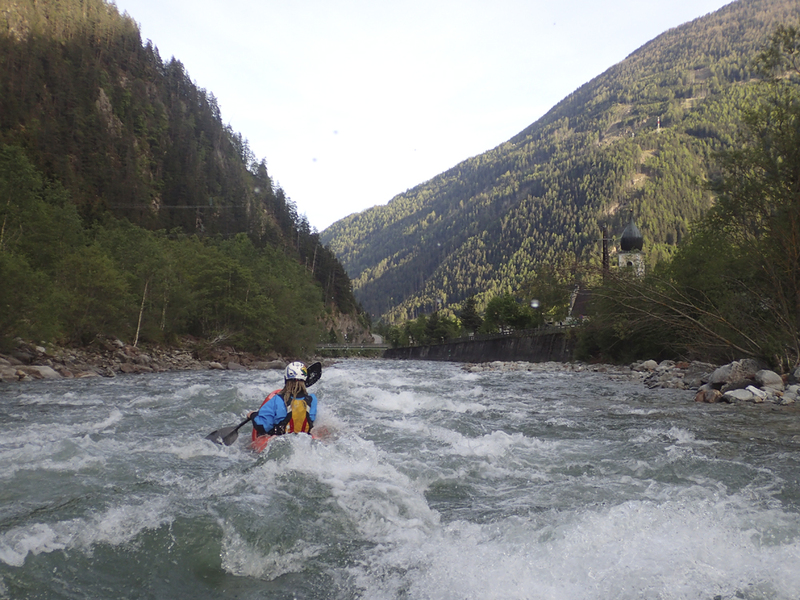 It essentially gets easier as you go further down river tapering down to class II. And there really aren’t any unique rapids to call out in my mind. It is just a continuous affair. Defereggenbach confluence on the right. Play-wave (II+). A nice playspot is located just above take-out. Apparently it used to be world class, but has changed for the worse in recent years. Take-out: From Lienz, head North (upstream) on B108 for 8.7 km. Just after the town of Ainet, turn left on Gewerbegebiet and follow it 200 m down to the bridge. We also camped at the raft camp here. Put-in: Continue up B108 for 11.1 km to the town of Huben. Just north of town, use the turn-out on the right. 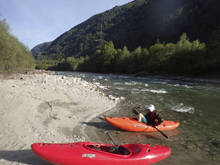 There is another access downriver 2.2 km if you want to make it a little easier.